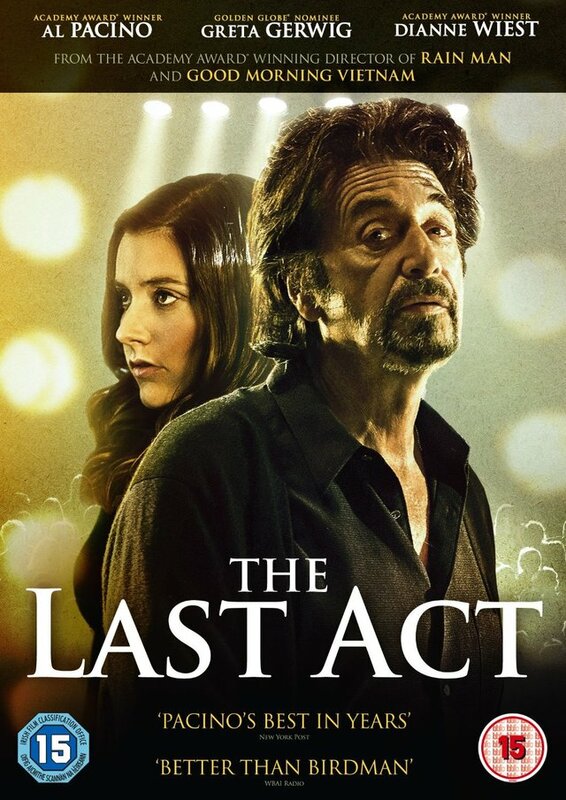 The Last Act, from Academy Award® winning director Barry Levinson, (out on DVD May 4th 2015) tells the story of Simon Axler (Academy Award® winner Al Pacino; The Godfather); an aging actor who is struggling to separate scenes from his play from real life events. As his world slowly starts turning upside-down, Simon embarks upon an affair with a friend’s lesbian daughter (Golden Globe® nominee Greta Gerwig; Frances Ha), but soon finds it is difficult to keep up pace with her. To be in with a chance of winning The Last Act on DVD, just answer the question below correctly.